Over 500 temples dedicated to Lord Hanuman and Rama have mushroomed in Purulia in the past year and the Trinamool Congress links it to the shift in voting patterns. A Ram Navami rally organised by the Trinamool Congress (TMC) in Purulia. Purulia: In West Bengal’s Ajodhya Hills, there was talk of Lord Ram, Narendra Modi and Mamata Banerjee on Sunday. For the first time in its history, the Trinamool Congress (TMC) organised a Ram Navami rally in Purulia town, one day after a similar rally was organised by the Bajrang Dal for the third year in a row. About 35 kilometers away, the increasing influence of Hindutva and the TMC’s alleged attempt to assimilate the ideology reverberated in the tribal-dominated Ajodhya Hills. On Sunday, the villages here echoed with a recorded retelling of Ramayana, while the winding road leading up to the hills was dotted with temples were pujas were being offered. There are, an official from the district administration said, over 500 such temples dedicated to Lord Hanuman and Rama that mushroomed in just the past year—something that the Trinamool Congress links to the shift in voting patterns in Purulia. Like Asansol, Durgapur and West Burdwana, Purulia also has a cultural similarity to adjacent Jharkhand and Bengal, and celebrates many of the same festivals. 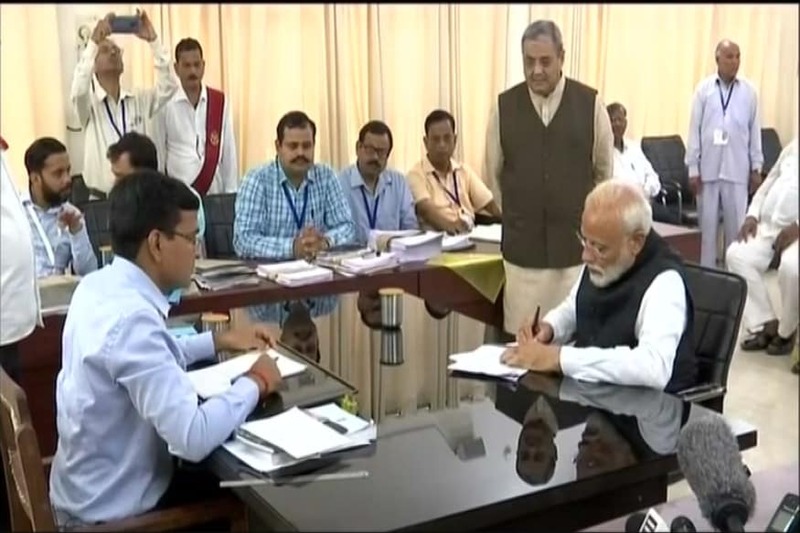 But Purulia — where the OBCs, Scheduled Castes and Scheduled Tribes cumulatively represent nearly 70 percent of the population — had voted for the TMC in successive elections from 2011 till last year. 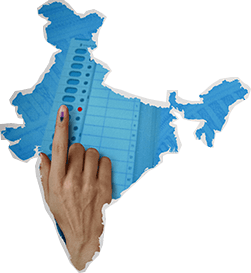 But last year’s panchayat polls results were ominous: The BJP bagged nine Zila Parishad seats out of 38, and bagged majority in 48 gram panchayats out of 170. The two rallies were almost identical: saffron flags, hoarse cries of ‘Jai Shri Ram’, the shuddering beats of Hindtuva pop, young men dancing wildly on the streets while the city looks on. The similarities weren’t accidental. The rally on Sunday, was organised under the banner of Nagarik Manch (Citizen’s Platform) and managed by Gaurav Singh, who until recently was a key figure in Bajrang Dal. Singh is now the TMC youth-wing president of Purulia town. 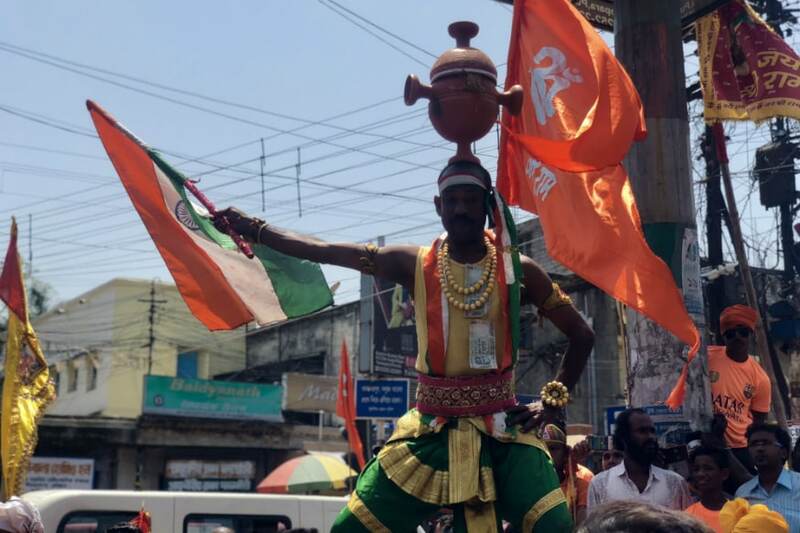 Although the TMC argued that its decision to “support” the rally was to support locals and their sentiment, a TMC source said, “There is no doubt that there is a link between the rise of Hindutva and the change in voting for the BJP. But it is wrong to say that TMC is an anti-Hindu party. We are pro-everyone, and anti no one.” Singh didn’t comment. From being a part that a few had heard about in the area until 2014, when it received 8 percent votes during the Lok Sabha, up from 2 percent in 2009, Chakraborty spoke proudly of the organisation’s growth. “The organisation is strong. In the past three-and-a-half years, we only worked towards 2019. For the first time, we contested on almost all panchayat seats here. We are the only alternative to TMC. 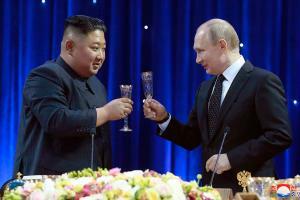 That is something the people also know,” he said. Back at the rally, many agree. “Our families voted for the Left in the past. But where are they now, nowhere,” said Shubho Mahato, taking a brief break from dancing at the Bajrang Dal-organised rally on Saturday. The 21-year-old alleged that in the past year, the TMC had slapped a series of cases against Bajrang Dal activist — a charge the TMC has denied and said, “This has actually made many people join the Bajrang Dal and decide to vote for the BJP,” he said. However, some residents pointed out that the Bajrang Dal rally, albeit smaller than last year, still had more people participating in it than the one organised on Sunday. The Bajrang Dal, for instance, had about five trucks fitted with DJs playing the Hindutva pop music. The TMC had about two dozen. 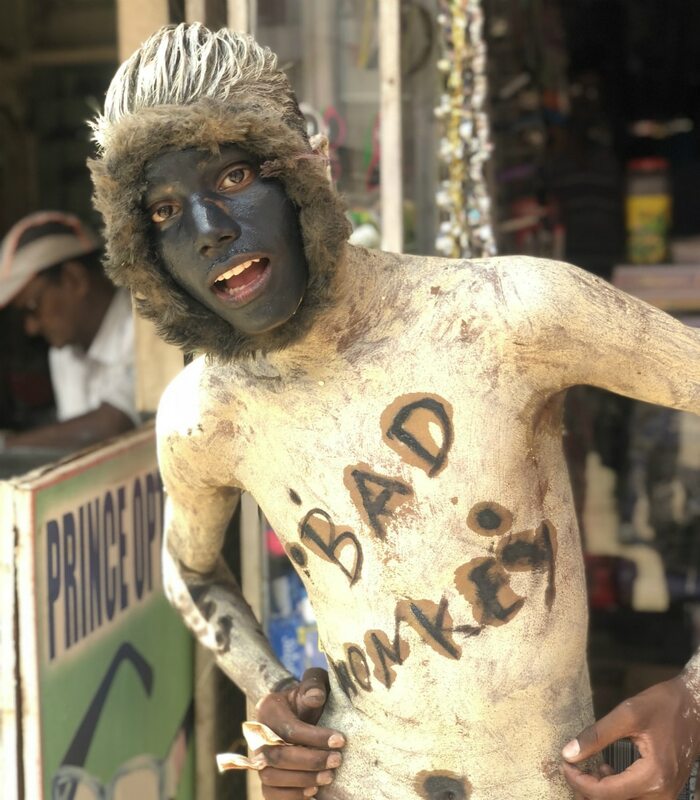 But while the former had a few hundred people dancing wildly to the tunes, Sunday saw each truck with 20-odd people trailing behind, including a teenager dressed as a money, with the phrase ‘Bad Monkey’ on his chest. 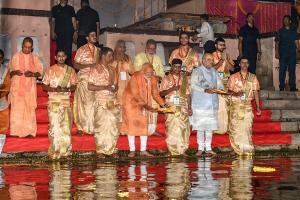 For many, though, the differences between the two Ram Navami rallies didn’t amount to much. “It is just a great excuse to dance, to party. To meet with friends and enjoy. It is a celebration, who cares who is organising it,” said 23-year-old Binoy Mahato. A resident of Baghmundi block in Purulia, Mahato said that they constructed a Ram temple in his village last year. Roads were constructed in his village after the Mamata Banerjee government came to power and many benefited from the welfare schemes, ranging from cycles for girls to rice at Rs 2 per kilo. "But there are no jobs for the young people like me. What the TMC says is blunt: work with us, in our party and we will get you employment." He concluded: "The reason the BJP is rising here isn't because of Hinduism. That is a factor, maybe. But it’s because they are the only ones who could maybe be an alternative to Mamata."